The historical technological expertise of BIOSYNEX is focused on the development of rapid diagnostic tests based of the immunochromatography or immunofiltration principle using membrane supports (nitrocellulose). These tests combine simplicity of execution, fast results acquisition and high level of clinical performances. These tests also combine easy transportation and preservation. 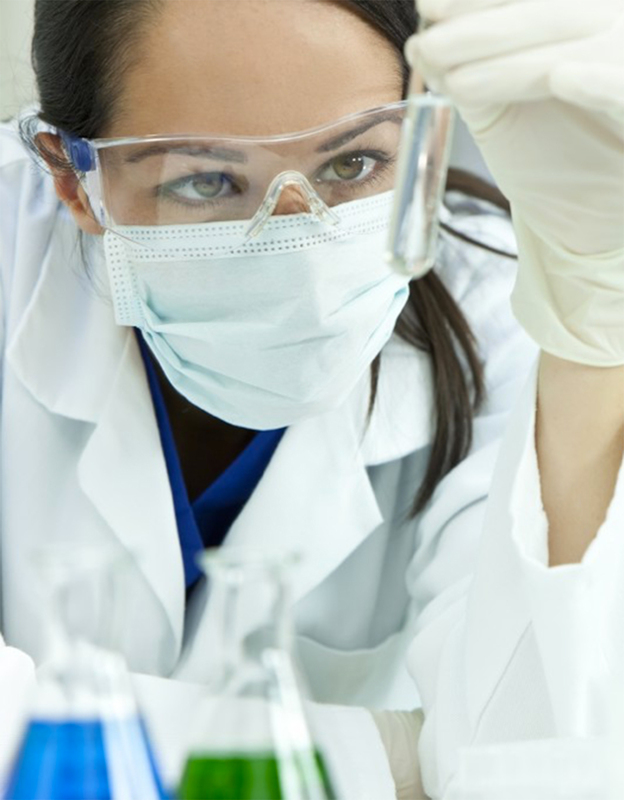 Biosynex’s development strategy is focused on niche products with high added-value and reduced competition. In this context, we have recently diversified our technological platforms in the fields of molecular biology, microbiology and parasitology. Our goal is to develop innovative tests which respond to new medical issues and provide health professionals with immediate information that guides patient management. In order to implement this strategy, we benefit from a high-level specific committee and a network of leading expert clinicians. Today, BIOSYNEX focuses its expertise on point of care biology, a fast growing sector that aims to reduce healthcare costs and provide greater flexibility for healthcare professionals by providing them with immediate diagnostic information. Infectious diseases, based on immunochromatography, agglutination or molecular biology techniques that can be carried out quickly and on an ad hoc basis. Point of care biology, by developing connectable readers which can be used directly in clinical services and adapted to our rapid tests. 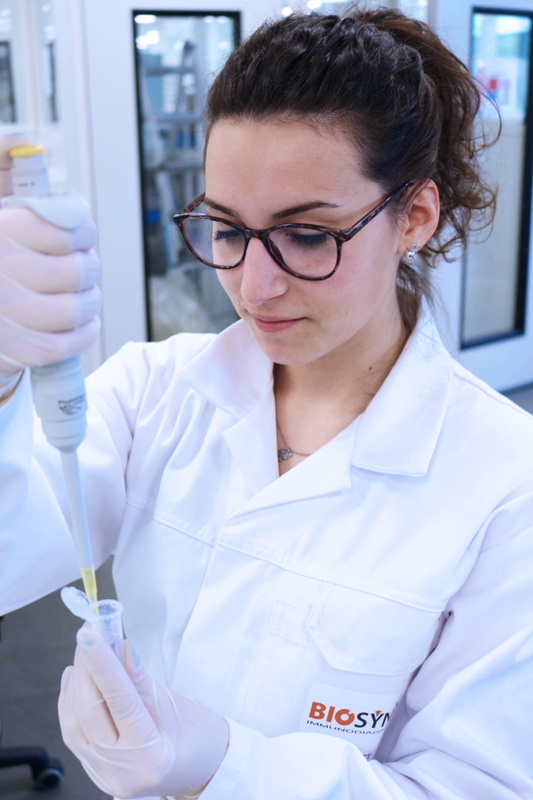 The BIOSYNEX’s R&D department is based in Strasbourg and employs a dozen scientists who benefit from a powerful technological platform and a broad experience in the specialized field of the in vitro diagnostics industry. The company has developed industrial and academic partnerships to develop leading products. For example, BIOSYNEX’s new Cryptococcosis test was developed in collaboration with the National Reference Center of the Institut Pasteur. BIOSYNEX already has several patents in the field of obstetrics, especially for its fetal membrane rupture detection test based on the detection of two biomarkers. BIOSYNEX holds a French patent (FR1054374) with a worldwide extension (WO2011 / 151597A1). A European grant of this patent (EP 2577317) in 2014 was followed in 2015 by an Australian issue. BIOSYNEX is committed to being global and has adopted a proactive IP protection strategy. 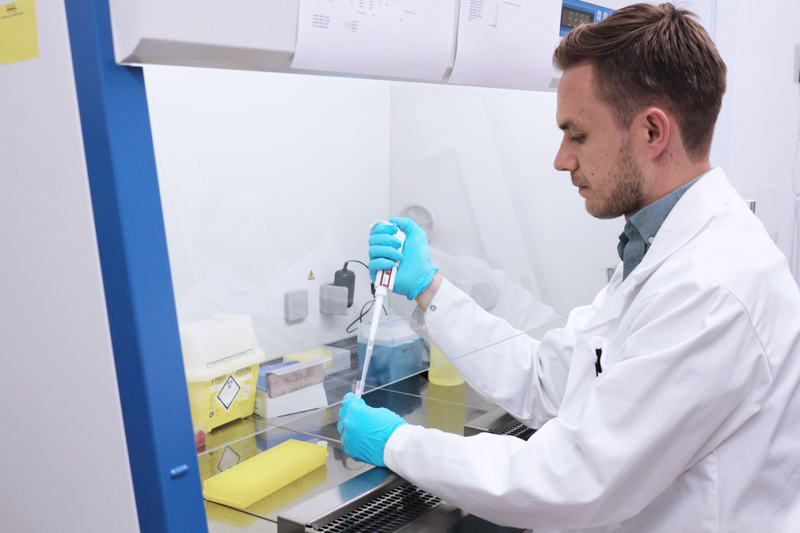 The Biosynex R&D department based in Strasbourg employs a dozen scientists who benefit from a powerful technological platform and a vast experience in the specialized field of the in vitro diagnostics industry. The company has developed industrial and academic partnerships to develop flagship products. For example, Biosynex’s new Cryptococcosis test was developed in collaboration with the Institut Pasteur’s National Reference Center. Biosynex already has several patents in the field of obstetrics, notably for its fetal membrane rupture detection test based on the detection of two biomarkers. Thus, Biosynex holds a French patent (FR1054374) with a worldwide extension (WO2011 / 151597A1). A European grant of this patent (EP 2577317) in 2014 was followed in 2015 by an Australian issue. Biosynex designs, manufactures and distributes Rapid Diagnostic Tests (RDTs) in France and internationally. The RDTs, in their professional version, allow a better medical management of the patients thanks to the speed of their result and their simplicity of use. In their self-test version, they allow the general public self-monitoring of various pathologies thus ensuring better prevention and accelerating the demand for care.